Sometimes two famous (and super awesome) people come together in friendship, and the result leaves the rest of us "common folk" swooning. 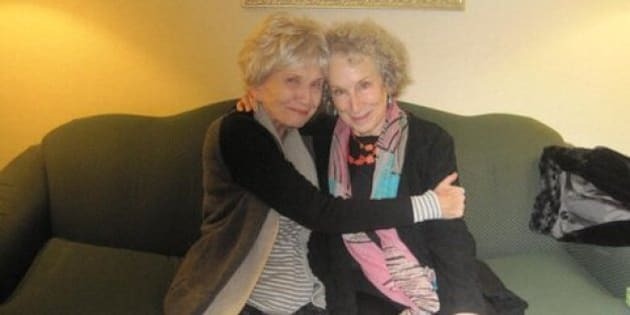 Such is the case with Canadian literary legends Margaret Atwood and Alice Munro. Then Atwood tweeted another photo, this time of the two women clinking glasses of what we can only imagine is champagne. Because it's a celebration—of Munro's win, and of how awesome it is that these two are friends.